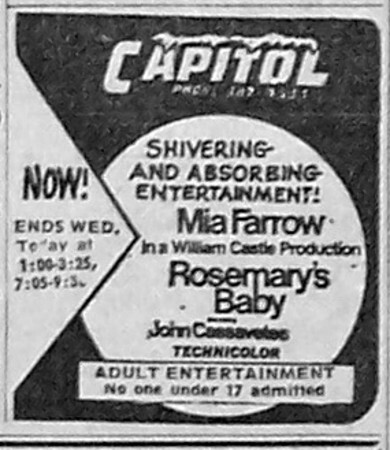 Here, we finally come to the ignominious end of William Castle’s career. 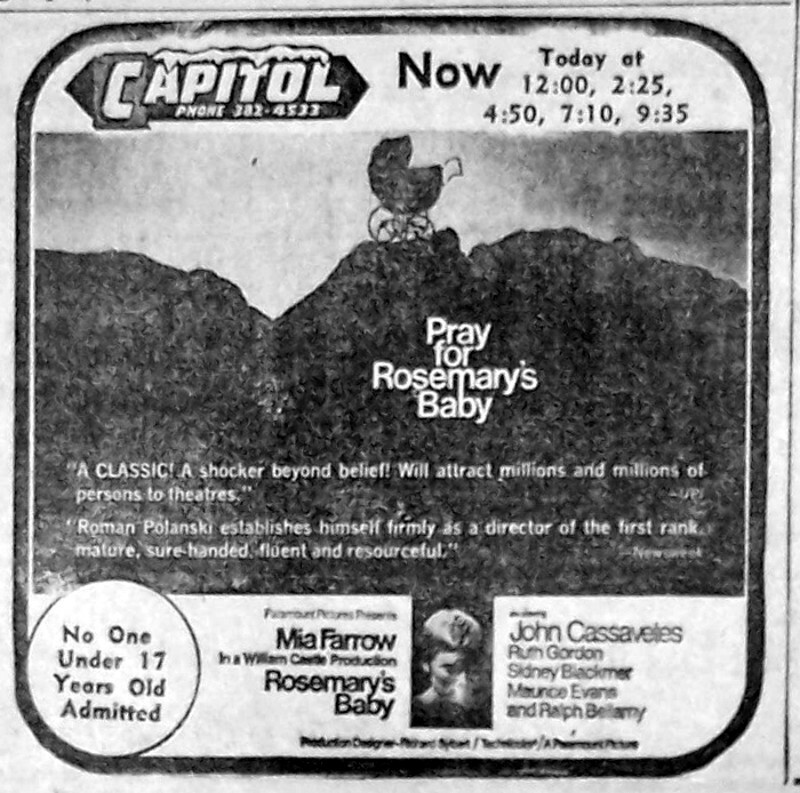 After Rosemary’s Baby, Paramount kinda threw Castle under the bus, and, to add insult to injury, all the major studios finally wised up and started making the same B-pictures he was making only with an A-budget, evidenced by the teaser ads currently pushing our feature film right off the page. 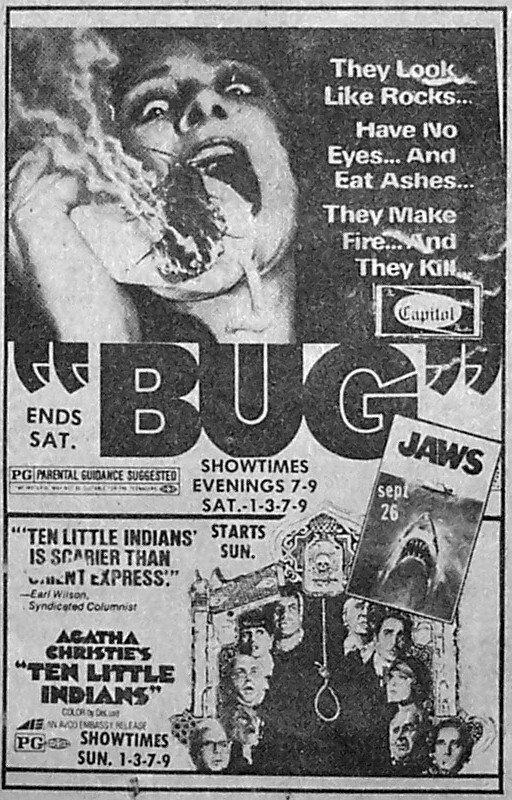 Yeah, JAWS absolutely buried BUG at the box-office, but this bizarre, fever dream of a flick is a lot better than you’ve heard. Trust me. 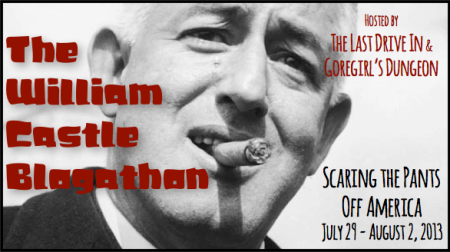 Alas, this is my last post for Goregirl’s Dungeon and The Last Drive-In’s The William Castle Blogathan, a week long tribute to the King of Schlock. Follow the linkage, Boils & Ghouls. It’s been a great week with a ton of cool stuff to see and read and experience. Now get going! John Schlesinger’s The Day of the Locust is one ambitious, apocalyptic mind-f*ck of a movie that I both love and fear equally. 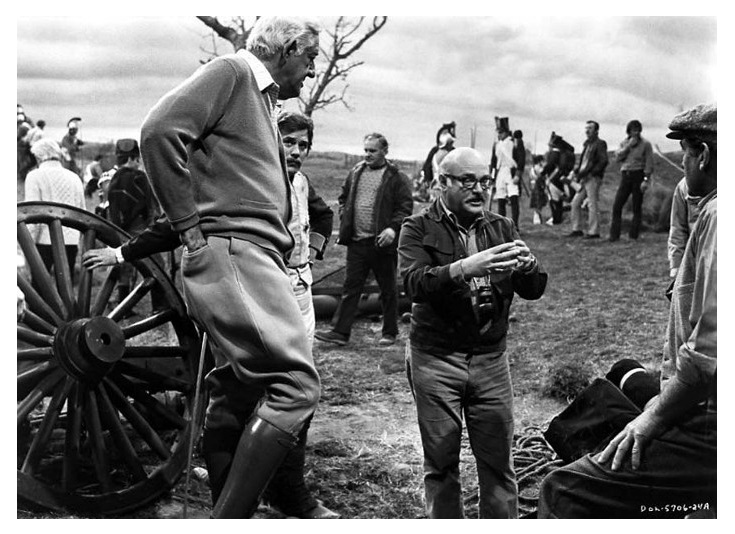 Now, William Castle did not direct or produce this scathing look at old school Hollywood, but he has a magnificent, glorified cameo as the Cecil B. Demillian director of the ill-fated War and Peace knock-off, whose sound-stage collapsed out from under him. He also had a wonderful cameo in Shampoo. 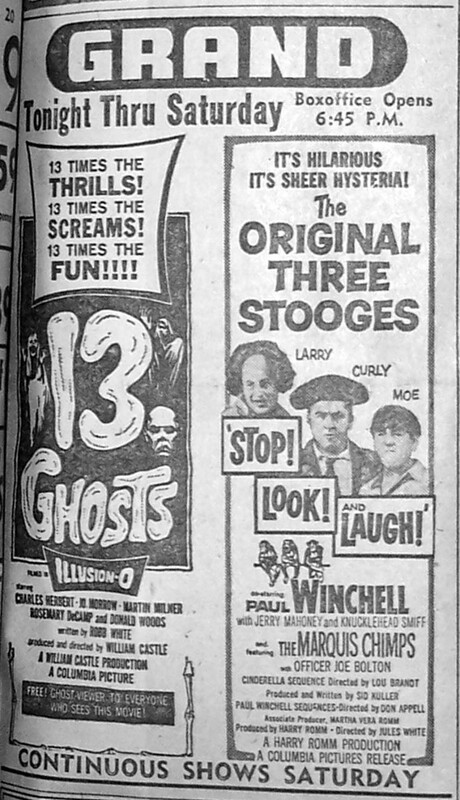 Both films are highly recommended, folks. 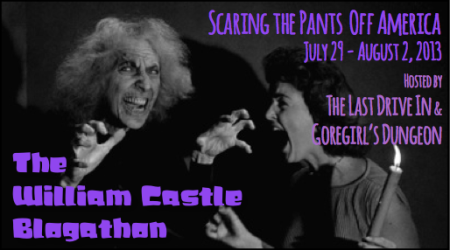 This post is part of Goregirl’s Dungeon and The Last Drive-In’s The William Castle Blogathan, a week long tribute to the King of Schlock. 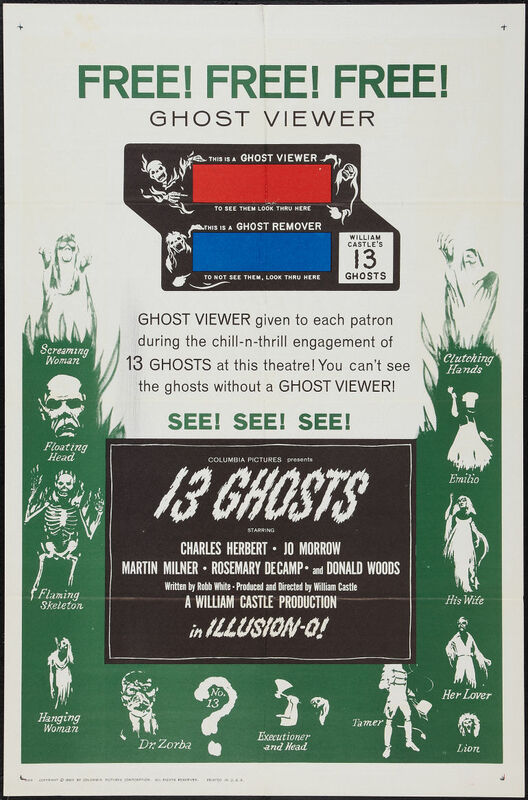 Follow the linkage, Boils & Ghouls. It’s gonna be a great week. 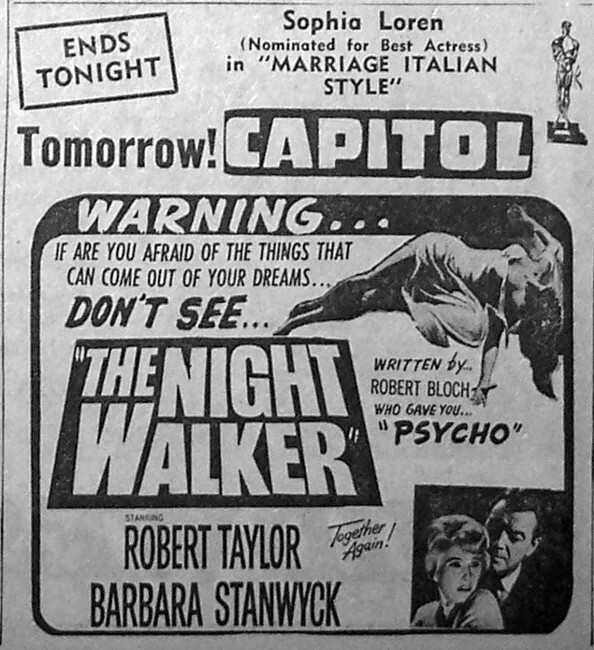 And stick around, as we’ll be showcasing Castle’s film career from its fairly normal beginnings through it psychotronic glory days. Stay tuned! I believe I was born with a defective gene that explains away my preference for the Tottenham stomp of the Dave Clark Five over the Mersey beat of the Beatles. 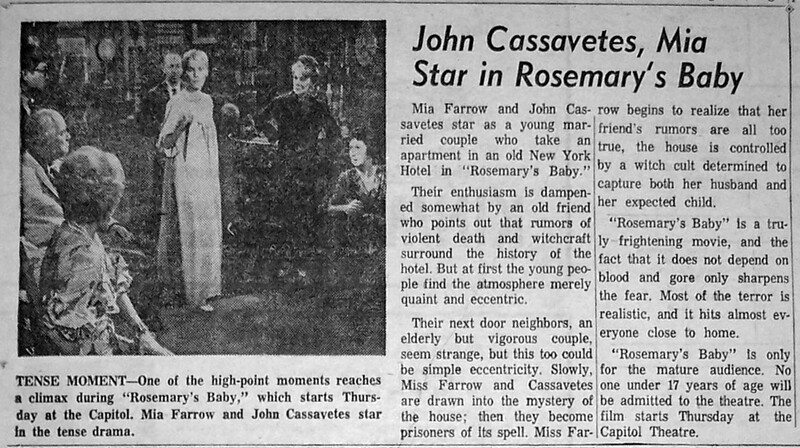 Perhaps this same mental defect explains my complete and total indifference to Rosemary’s Baby. Now, now. I don’t hate the movie. It has merit. It just, I don’t know, never really clicked for me. 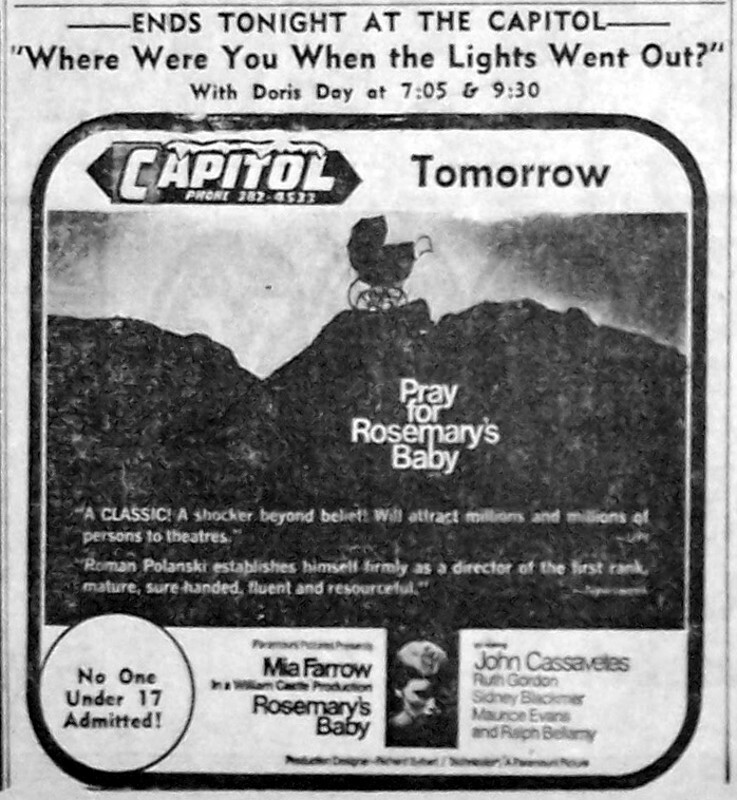 (My lifelong aversion to Mia Farrow probably isn’t helping matters, here, either. The old Beelzefudds were a hoot, though.) That’s me shrugging right now. 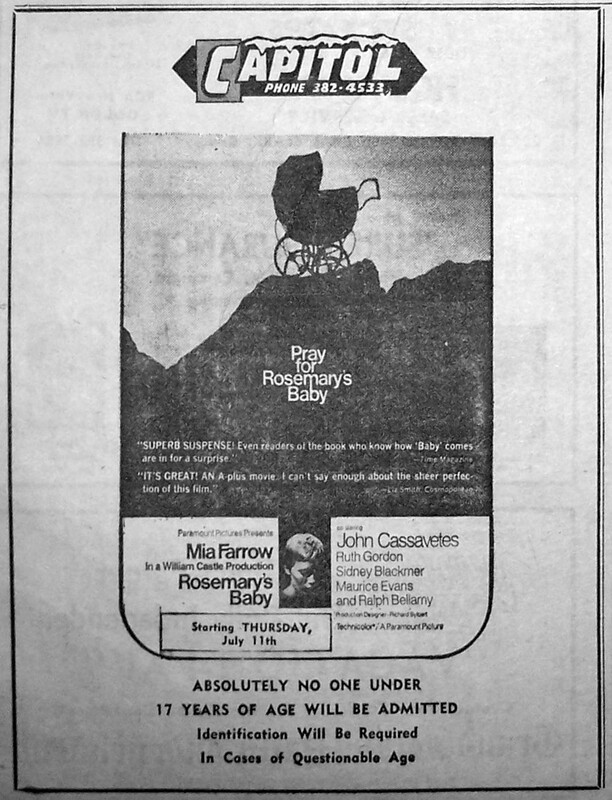 Rosemary’s Baby (1968) William Castle Productions :: Paramount Pictures / P: William Castle / AP: Dona Holloway / D: Roman Polanski / W: Roman Polanski, Ira Levin (novel) / C: William A. Fraker / E: Sam O’Steen, Bob Wyman / M: Krzysztof Komeda / S: Mia Farrow, John Cassavetes, Ruth Gordon, Maurice Evans, Ralph Bellamy, Patsy Kelly, Elisha Cook Jr.
Full film review of The Spirit is Willing at the Brewery. 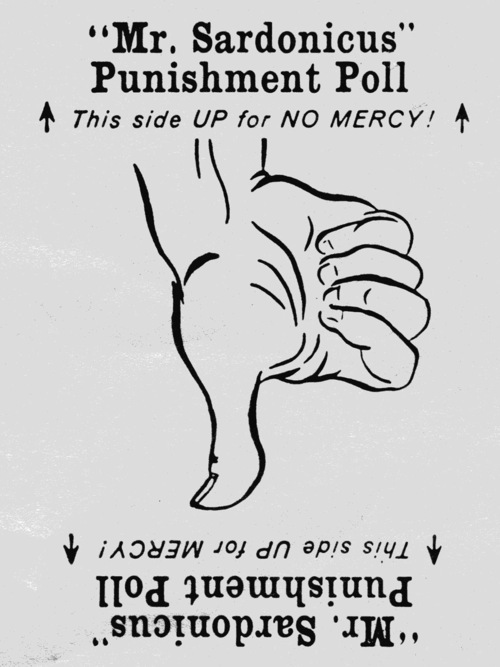 Poster campaign for The Spirit is Willing at the Archive. 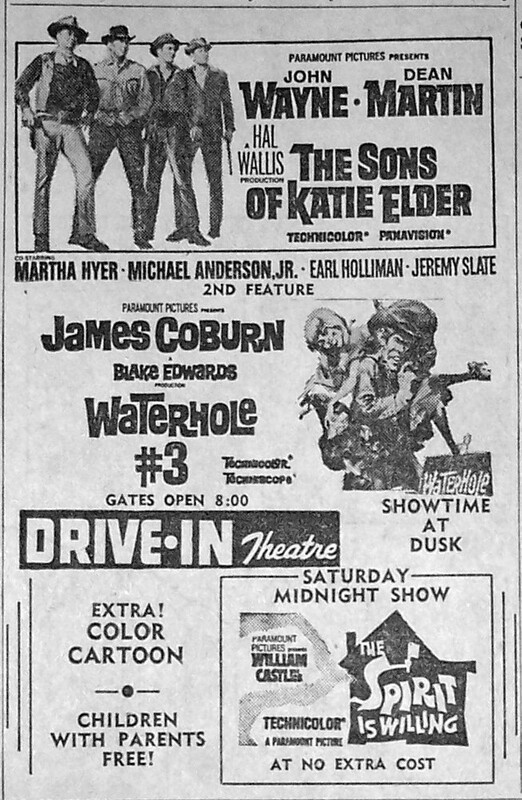 The Spirit is Willing was my personal introduction to the kookie and ghoulish world of William Castle, seen many, many moons ago at the old Rivoli theater during some weekend matinee re-release in the early 1970’s. 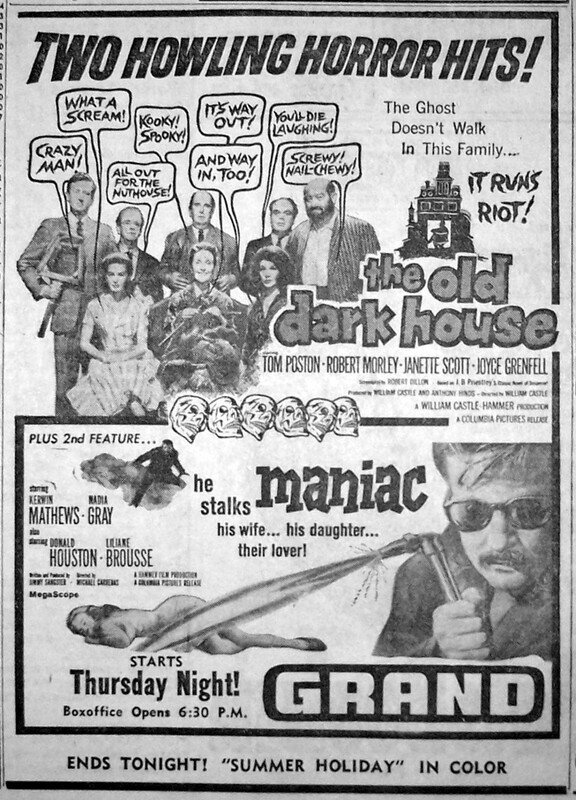 Before finally seeing it again, all I really remembered about it was a family moving into a haunted house, where a love-triangle-entangled trio of ghosts still lurk and cause all kinds of mischief; but the strongest and most impressionable image to four or five year old me was a slow-motion meat-cleaver massacre that explains the reason for the ghosts — and probably goes a long, long way in explaining my slightly bent taste in film. 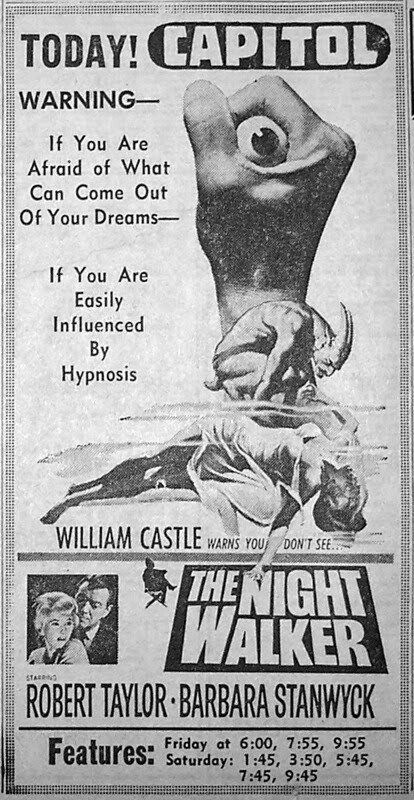 And for that, Mr. Castle, I am eternally grateful to you for properly corrupting my childhood. 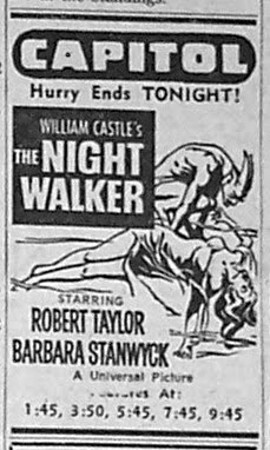 Sandwiched between two Joan Crawford gone wild vehicles, Barbara Stanwyck signed on and toned it down for this Bill Castle psychological thriller, teaming up with her former husband, Robert Taylor. 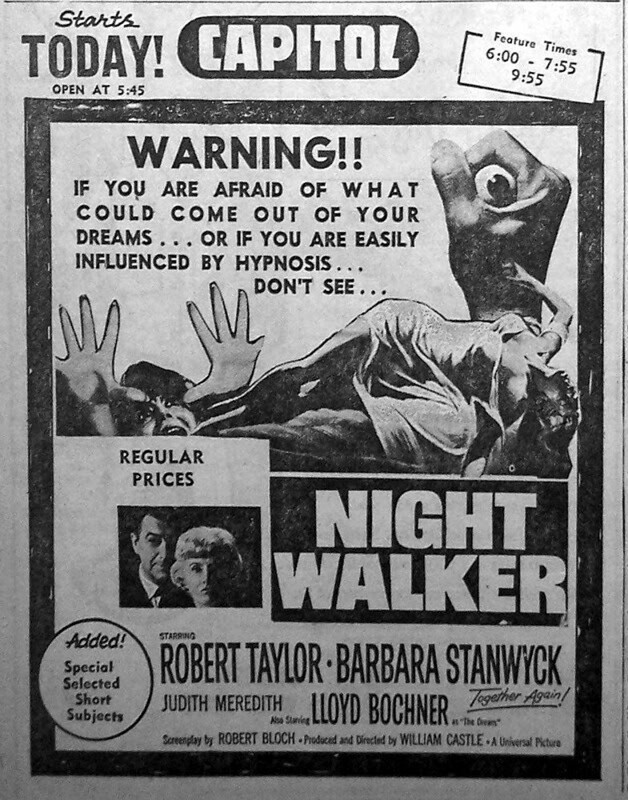 This would be Stanwyck’s final feature and a rare Castle film I haven’t managed to see yet. 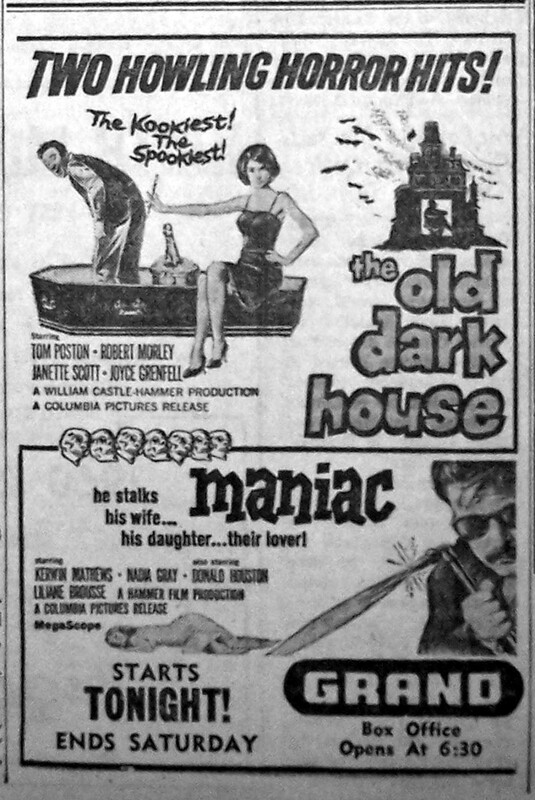 Apparently, the original The Old Dark House (1932) helped inspire artist Charles Addams to untold heights of ghoulishness. 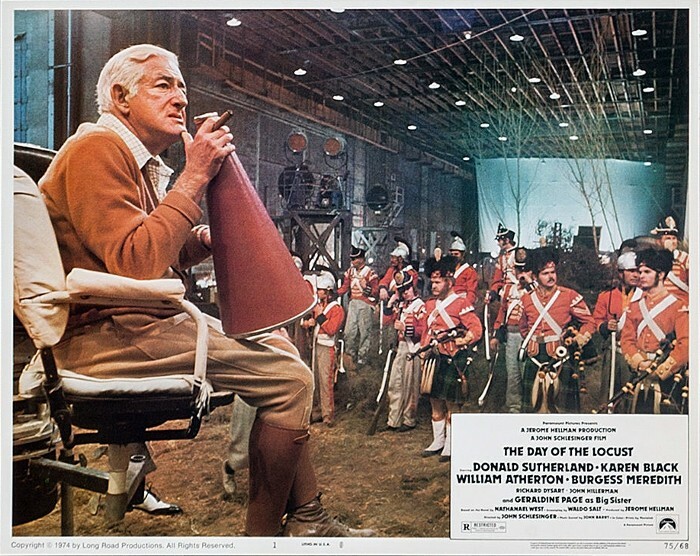 And so, he was recruited to design the opening title credits for this Castle / Hammer co-produced remake. 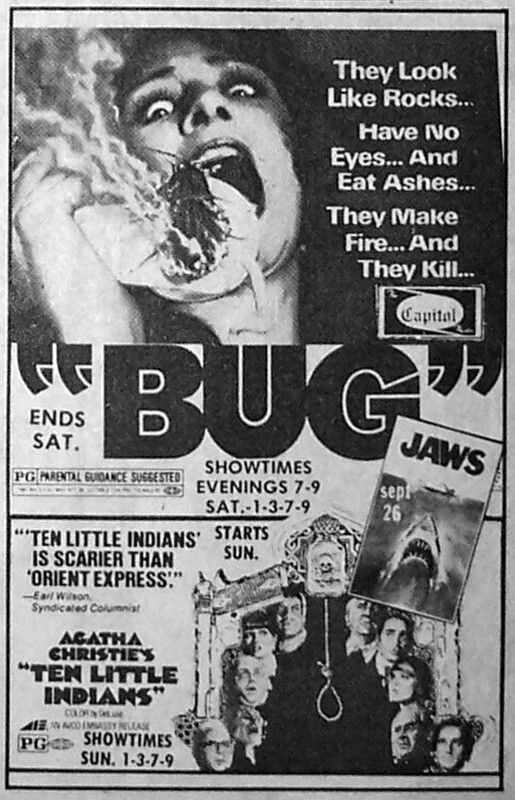 Alas, the film is kinda all downhill from there. 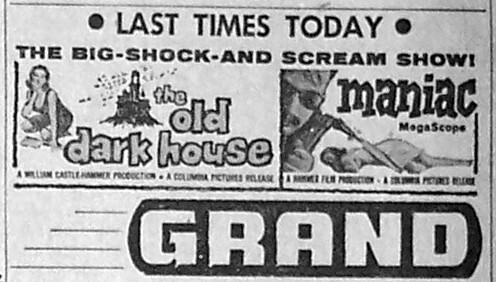 Now, I like Tom Poston, and found Zotz oddly endearing, but this version of The Old Dark House kinda stinks, locked in a morass where tedious and insipid meet on the graph. 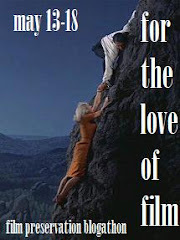 All is not lost, however, as its co-feature, Maniac, is another Hammer Castle cash-in that’s well worth your time. 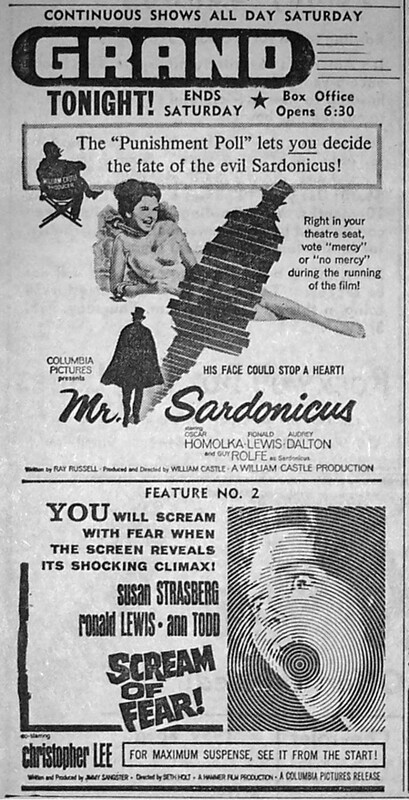 Despite assurances that the audience could decide the fate of our dastardly protagonist, no matter what rumor you’ve heard that out there, somewhere, an audience let Mr. Sardonicus off the hook, there is no evidence of an alternate, happy ending ever being shot let alone shown — except for that dramatic re-enactment on Wiseguy in what was perhaps the strangest TV season of episodic TV ever. Does anyone else remember that? 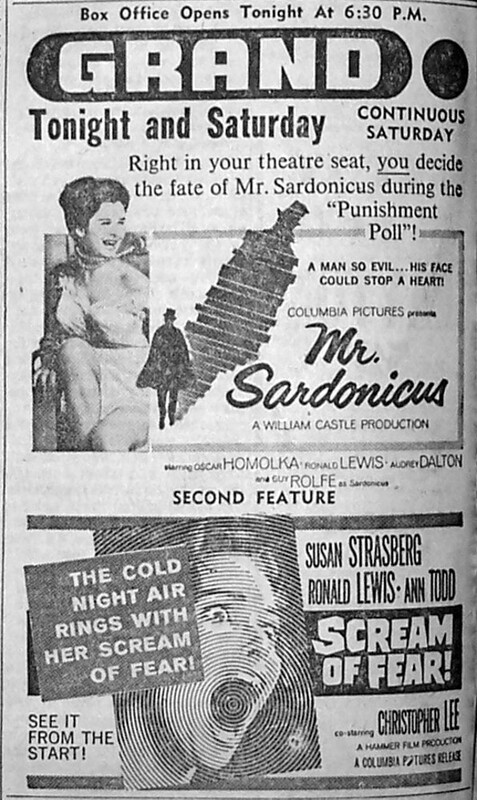 Also, somewhat coincidentally, as far as Mr. Sardonicus’ excellent co-feature is concerned, Jimmy Sangster might have been shooting for the same fearful beats as Alfred Hitchcock and Henri-Georges Clouzot, but, Scream of Fear (and Nightmare, and The Snorkel, and Maniac), I think, hews a helluva lot closer to the five-car contrivance twist-pile-ups of William Castle. Not that there’s anything wrong with that, mind you. Just giving credit where credit is due. 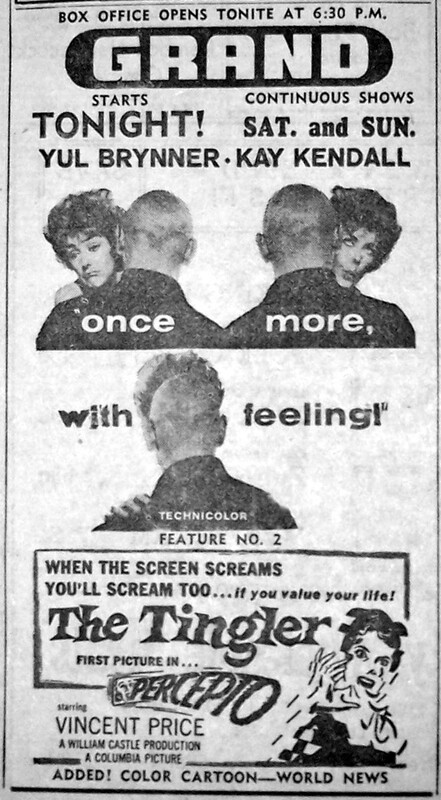 Not since the four repeaters for King Kong vs. Godzilla have I been more disappointed in an unearthed ad campaign than what I found for The Tingler, perhaps William Castle’s most gonzoidal film of all time, relegated to second feature status to an also-ran Yul Brynner romantic comedy. 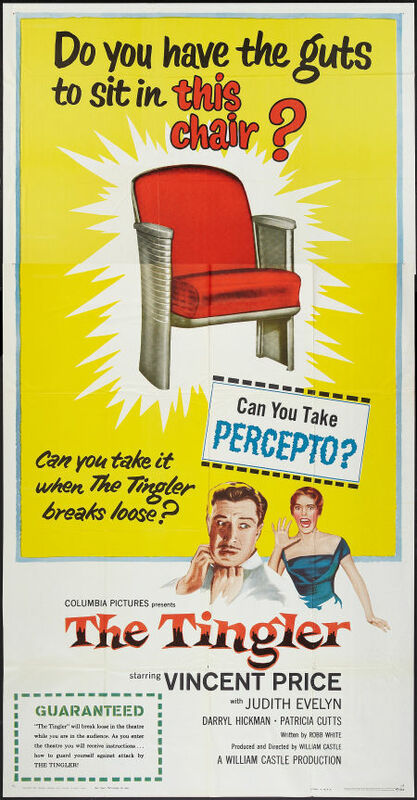 However, unlike Emergo, looks like the Grand Theater took the plunge on Percepto and wired up a few seats. And that, my friends, is awesome covered in awesome sauce. 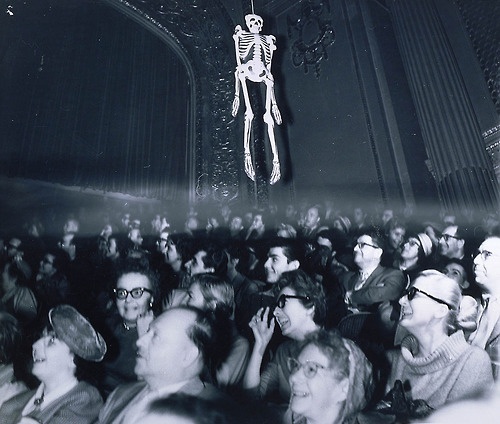 Seems an inflatable skeleton was trolled out over the audience during the film’s climax, but, alas, I fear the Capitol Theater might have opted out of using it since there is no mention of Emergo in the ads, meaning their patrons had to settle for just watching it with someone with warm hands — whatever the heck that means?! 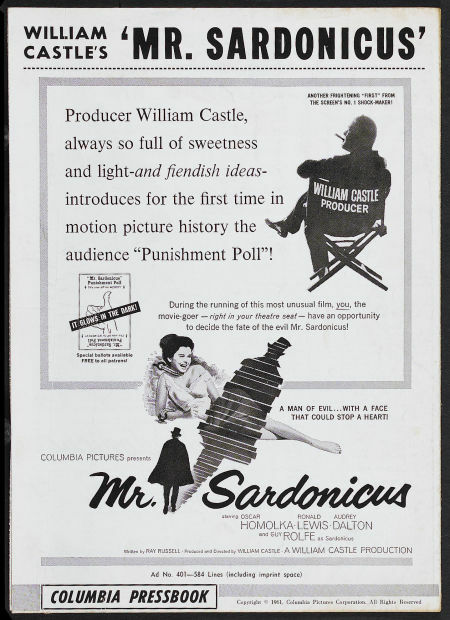 With or without the gimmicks, the King of Schlock — or the Poor Man’s Hitchcock, call him what you will — the one thing you can say about any of Castle’s films was they were seldom — if ever — boring, and always a wonky good time. 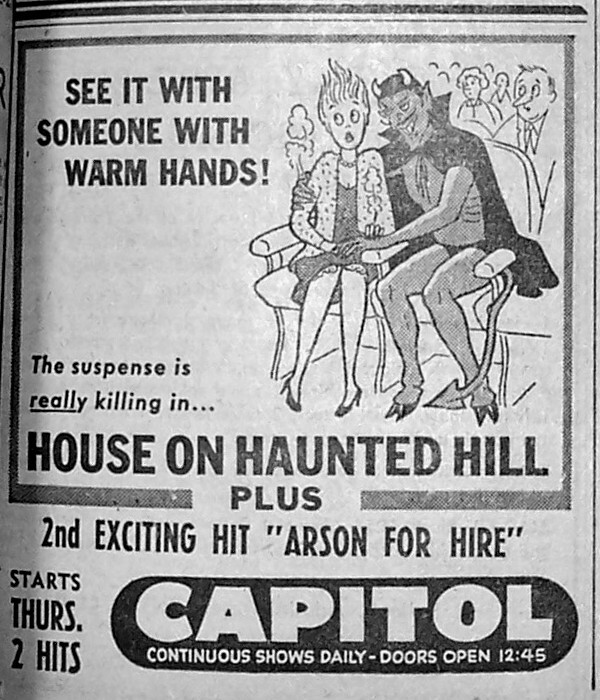 Poster campaign for House on Haunted Hill at the Archive. 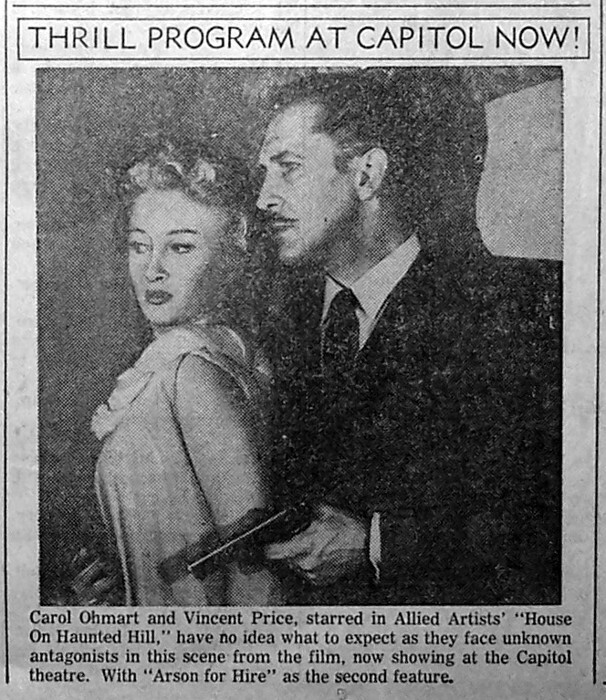 House on Haunted Hill (1959) William Castle Productions :: Allied Artists / P: William Castle / AP: Robb White / D: William Castle / W: Robb White / C: Carl E. Guthrie / E: Roy Livingston / M: Von Dexter / S: Vincent Price, Carol Ohmart, Richard Long, Alan Marshal, Carolyn Craig, Elisha Cook Jr.